You can’t go wrong with these Shrimp Foil Packets. They’re easy to make and taste great – the perfect summer dinner! This is by far my favorite summer dinner recipe. We were having friends over for dinner last night and I wanted an easy dinner that we could throw on the grill. I came across a recipe video on Facebook that shared a similar recipe and I decided to give it a try. In our house you can’t go wrong with a recipe that includes shrimp and Old Bay. We could probably eat it every night for dinner. And let me just tell you – this recipe is one of the best meals I’ve eaten in a long time! 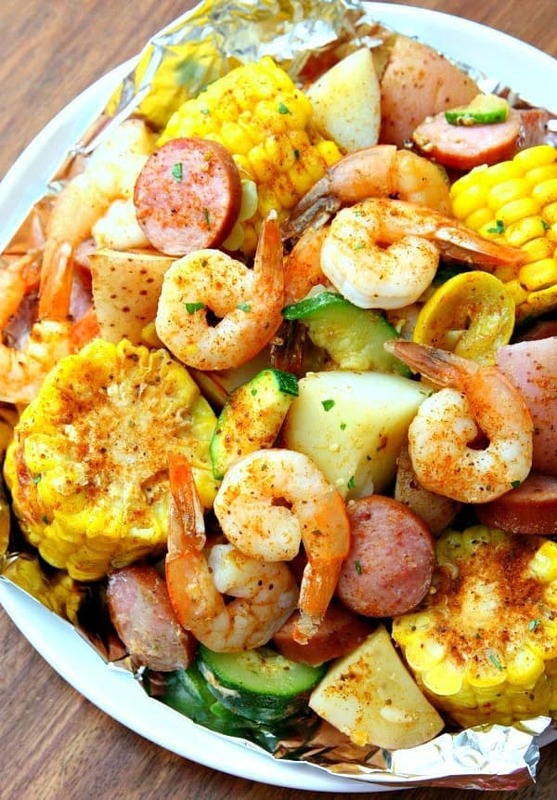 I love the combination of sausage, shrimp, and potatoes along with the fresh veggies and seasoning. All I can say is YUM! And did I mention how easy this recipe was to prepare plus the foil packets make cleanup super easy. Cut six sheets of foil, about 18 inches long. 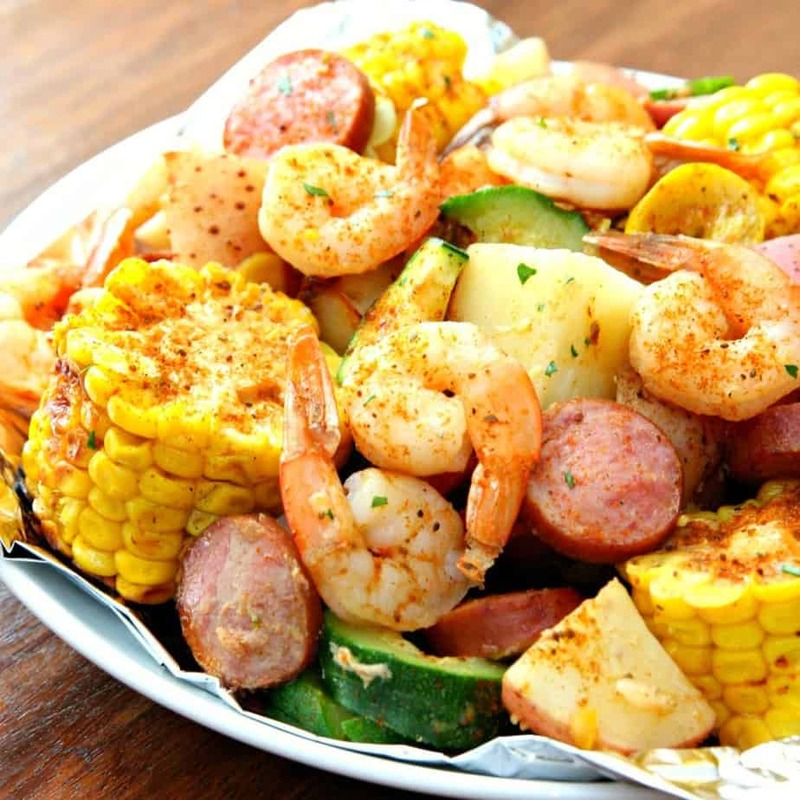 Divide shrimp, sausage, corn, potatoes, squash and zucchini into 6 equal portions and add to center of each foil sheet. Drizzle 1/2 tablespoon of olive oil over contents of each foil sheet. Sprinkle Old Bay seasoning over everything on each foil sheet. Place foil packets on the grill and cook over high heat for 12-15 minutes. Don’t just take my word for it. You need to make this tonight for dinner. I promise you won’t be disappointed! I’ve never baked them in the oven but I would think it would be okay. Try 400 degrees for 15-20 minutes. Unwrap and check on the shrimp and veggies after 15 minutes.